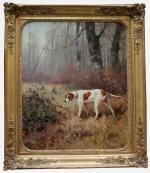 Hunting painting with a pointing dog on a forest glade was executed by French animalist Charles Robert Reyne, who was active on the turn of 20th century. 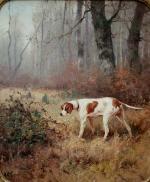 His dog painting sold permanently on international auctions in England, Farnce and USA. 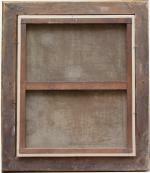 For another painting by the same author see item No. 3228 on our website.